BUT NOT ENOUGH TO MOVE THERE! 1. We JUST fixed up our Austin home, and can't bear to leave after all that work! 2. Our friends and support network in Austin would be sorely missed. 3. Rent on a decent 1 bedroom apartment in Manhattan runs around $2000 a month, and there's no way we could afford to buy a place there. 4. We're just not East Coast / big city / rat race kind of people. 5. Chad's company hasn't made an official offer to move us, though we expect it any day now. 6. Chad would still have to travel to places like Washington DC, Philadelphia, Orlando & Los Angeles for work even if we moved to New York City. 7. Alligators in the sewers. 8. Rats the size of cats. 9. Roaches the size of kittens. 10. It's more fun to visit NYC, than to live there. • Hand-washing sweaters -- it's more time intensive than it sounds, trust me. Cashmere smells like wet goat when you dunk it in the water. Merino wool smells like wet dog. Luckily the Woolite helps with the stink. I'm rehearsing for this year's Fronterafest show. What is Fronterafest, you ask? According to the website: Every night the Hyde Park Theatre presents a new bill of four or five plays no longer than 25 minutes each. Brilliant monologues? Plays in progress? Comedy improv? Cabaret singers? Avant-garde dance? Short films? Multimedia? They've seen it all. Fronterafest is a theater festival that works like a tournament where the favorite five shows (out of about twenty shows from each week) get to perform again on Saturday night each week for the juried "Best of the Week" performance. After five weeks of about a hundred shows, the favorite ten shows perform twice again as part of the juried "Best of the Fest" in mid-February. I'm working with Max Langert again for a fourth time at Fronterafest. He's a great writer and a super-nice guy. We perform his show "Brand Loyalty" on January 31. Of the previous three shows I've performed in for Max at Fronterafest, we've been awarded "Best of Fest" twice. So the odds are with us, if you're the type who places bets on theater festivals. If you are that type of person, you probably need a new hobby! Thursday night, January 25, I'm going to San Antonio to put on an interactive dinner theater show with some of my fellow Austin Murder Mystery Players. I'll also be performing with my MMP pals at a Valentine's Day dinner show in Austin. 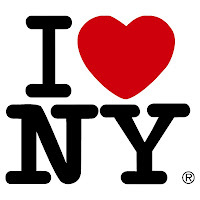 February 21, I leave for five days in New York City with Chad. I am so looking forward to this trip. Not just to be in NYC again, but to get to spend time with Chad who travels TOO MUCH for work. I miss him. Here we are in Time's Square on our last trip to NYC together. IF I decide to apply for the master's degree program in Information Studies (that's a fancy-pants term for librarian school) I have to take the GRE test and submit my application by March 1 to be eligible for the fall semester. I got the uptight, neat-freak, organizer gene from my dearly departed dad. I'm not sure where I got my nosiness / intensely inquisitive nature from, or my fanatical love of reading, but these personality traits have librarian written all over them. I have to have some work skills to fall back on, just in case I don't land my dream job of playing a sitcom mom on a popular TV series. Hey, dare to dream! 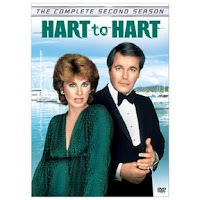 March 14, Chad and I leave for five days in Los Angeles for our friends' wedding. We hope to catch up with Karen (one of my best friends from college) in Woodland Hills and Jason & Jaimie in Pasadena while we're out that way too. Never fear, fair friends (& family), I'm keeping plenty busy! I'm thinking that in late March, I might sign up with a temporary service. My sister, Chrissy, was a supervisor / assigner of jobs for Manpower a few years ago. Maybe she has some advice for me? The temperatures dropped into the freezing range Sunday evening as Austin got some much needed rain. That rain froze on the ground, followed by real sleet Monday! I love the ping-ping-ping sound that sleet makes as it hits surfaces. It's soothing, because you give yourself permission to hide inside, convincing yourself it would be downright irresponsible to head out in that weather. In Austin, people entirely forget how to drive when there is even a hint that ice might be around. On Tuesday, Chad woke me up so I could watch big snowflakes drift down. The snow fell alternately with sleet most of Tuesday. This winter magic was fleeting. By Wednesday noontime, I started to hear the drip of melting ice. Wednesday night, I even heard a few chunks of ice fall. I'm glad I got to view the winter wonderland from our cozy home, and glad that it only lasted for a few days. Luckily, I didn't have time to get cabin fever here in Austin during the great freeze of 2007. Chad & I managed to stay mostly warm & dry. We both got a lot of reading done. 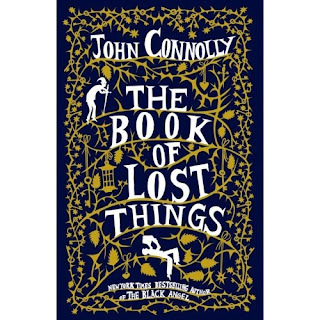 My new favorite book is THE BOOK OF LOST THINGS by John Connolly. If you read this book, and do not like it, please hide that opinion from me. Seriously. Third Time's a Charm / Step Away from the Sink! Let me begin with the disclaimer: I love my husband, Chad. That said, he can be a bit obsessive. This obsessive nature makes him excel in his career as an interactive group creative director (a fancy title for someone who makes the internet a prettier place.) This obsessive nature fueled the relatively quick completion of our home remodeling projects this summer and fall. This obsessive nature translates to a quirky fixation with the bathroom sink. When we bought our little 1952 house, the lone bathroom had an oddly large pedestal sink. It just didn't make sense in such a small bathroom and Chad thought it looked a bit "grandma spice." My second disclaimer: my grandma has good taste, but some grandmas do not have good taste. We donated the old sink to Habitat for Humanity. I hope it is making someone's grandma very happy. Chad found a very tasteful, modern sink and cabinet online from the Ronbow manufacturer. We had a plumber's help installing the new sink and drain in June 2006. The plumber pointed out to me that this sink did not have an air intake dimple and that it might drain slowly. I made the mistake of relaying this information to my better half. Much like a hypochondriac imagines they have the disease du jour, Chad noticed that the sink did drain too slowly and that the sink got dirty quickly. It bugged him. Fortunately/Unfortunately, when the handyman came in October 2006 to install the faux tin tile ceiling, he bumped the sink with his ladder and put two small chips in the rim of sink #2. The handyman apologized and gave us $50 off of the bill so that we could get the sink repaired / refinished. The chipped sink afforded Chad the chance to correct the drain issues by ordering another new Ronbow sink. Chad jokes that he's paying Ronbow Jr.'s college tuition. Sink #3 has an air intake dimple and a proper drain stopper. Chad installed this sink by himself over his holiday break from work. I guess if there's another tech bust, he could train to be a plumber, or a Ronbow representative. We're very happy with sink #3... for now. Today I will do my last official visit as one of the Furry Godmothers. I'll be visiting a sassy-sweet, geriatric cat named Tippy. I love her because she's so darn determined to outlive us all and to get brushed just right! She meows very loudly to let me know if I'm brushing her incorrectly. I give her oral pain-killers for her arthritis while her mom works long days. I hope very much that she'll be in great hands with her new pet-sitter. I've loved working as a pet-sitter! I've worked with Jody, the founder / owner of Furry Godmothers, for a little over two years. She's run the business for over five years and I totally admire her for building the business from the ground up. I don't know how she keeps it going, especially with an eighteen month old (human) little boy. Personally, after two long, hot summers and three Christmas seasons, I am tired of walking dogs in 110 degree heat, tired of being available to work over twelve hour spreads seven days a week (at times) and tired of working nearly every holiday while my husband has time off from work. I'm burnt-out after events in my personal life (such as remodeling a house as a first-time homeowner and the death of my dad) have compounded to make me plumb tired! Jennifer "Jenn" Currie moved around to several different cities as a child, but has called Austin home since 1991. She grew up with a Pomeranian named Honey Dog and many cats, some unfortunately named after characters in the musical CATS. Once a baby squirrel literally climbed Jenn's pant leg to escape a hungry cat. The squirrel was named Fluffers and lived in her house for two years before moving out to the garage, a.k.a. the bachelor pad. Jenn's résumé reads like a Lemony Snicket novel littered with mind-numbing marketing jobs, several fun years teaching drama to elementary-age kiddos through the Dougherty Arts School, and a regretful stint in retail management. After two years as a loyal Furry Godmothers client, she was absolutely delighted to join the team. Jenn's current furry/finned family includes: Marigold, a blond & auburn Persian princess; Kenji, a scrappy Siamese, who was found sans momma-cat at a car lot when she was just three weeks old; and Spike, a geriatric Beta fish who will celebrate his fourth birthday (God willing) in March 2005. She and her husband hope to add a small pup to the mix when they move into a bigger home. Since that time, we've added the darling boy kitty, Sonic, to the feline bunch. Spike, the fish, passed away in early March of 2005, just after his miraculous fourth birthday. We had another fish named Dragon, a red Beta, who met an unfortunate end when Kenji scaled several bookshelves to liberate Dragon from his bowl and nibble on him. (Cue the "Circle of Life" song.) We've moved to a bigger home, but have yet to add the pup. I'm hoping for a shih-tzu or a pug, as some of my favorite canine clients have been these breeds. The New Year's Eve dinner show at Dave & Buster's went very well. I was nervous because it was the first performance of a new script, and it's always more nerve-wracking trying to remember lines for a first performance. The audience of about 110 people participated, paid attention and laughed a lot. They were great! For those of you not familiar with mystery dinner theater, I'll give a summary. While the audience dines on a three-course meal, the actors present a three-act murder mystery. The actors try to incorporate audience members whenever possible, and include them in jokes. Example: In the New Year's show we had a character with the first name "Happy" and the last name "Newyears." Corny, yes, but effective, because whenever her name was mentioned, the whole audience was strongly encouraged to yell, "Happy New Year's!" This show also featured a wedding, and audience members were picked out to stand on stage as bridesmaids and groomsmen. During the"question and answer" portion in each show between the second and third acts, the audience members quiz the suspects in the mystery and try to deduce whodunnit. The audience votes and then the solution to the mystery is presented as the third act. Usually the sponsor or host of the show supplies a prize to the audience members who correctly solve the mystery. It's not high art by any stretch of the imagination, but people usually have fun with it. Murder Mystery Players (MMP) offers private and public shows, usually at Dave & Buster's, a country club or a hotel ballroom. MMP also offers team-building games and interactive, live game shows. During the holiday season, I average two shows a week. Summers are usually pretty busy with shows too for some reason. I enjoy performing and stage managing the shows and games, AND it pays! MMP Austin has a strong group of regular performers who are kind of like my theater family. Here are a few pics of the cast getting ready for the New Year's show. Jeff Johannigman prepares to play the nervous groom. Tracy Cathey looks over her lines for the role of "Rent-A-Reverand", the officiator of the wedding. Phil Klickman and Gary Hamilton prepare to play a suspect and the murder victim - I won't say which is which in case you attend a future show! Our devoted director, Russ Wiseman, helps Phil with a costume fix, a.k.a. a safety-pin. Me and Anna Maria Garcia. Guess which one is the bride. I wish all of you peace, health and wealth (however you choose to measure it) in 2007.